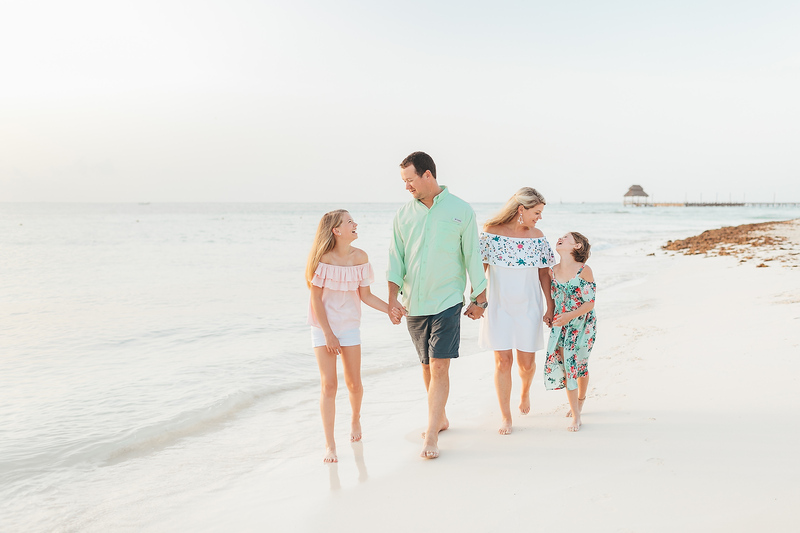 Just starting the day by crossing the Caribbean ocean on a ferry to go on a Isla Mujeres family portraits mission, an island just off the coast of Cancun is awesome enough, and on top of that, it was a perfect day under the Mexican sun. 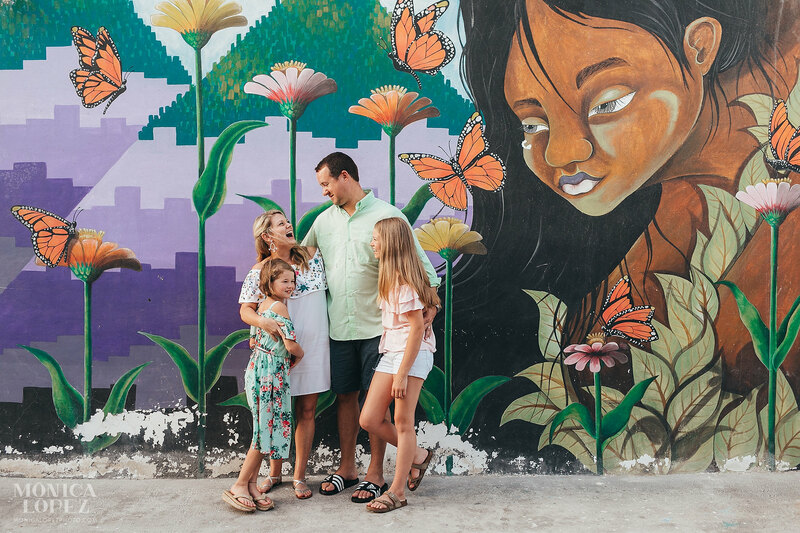 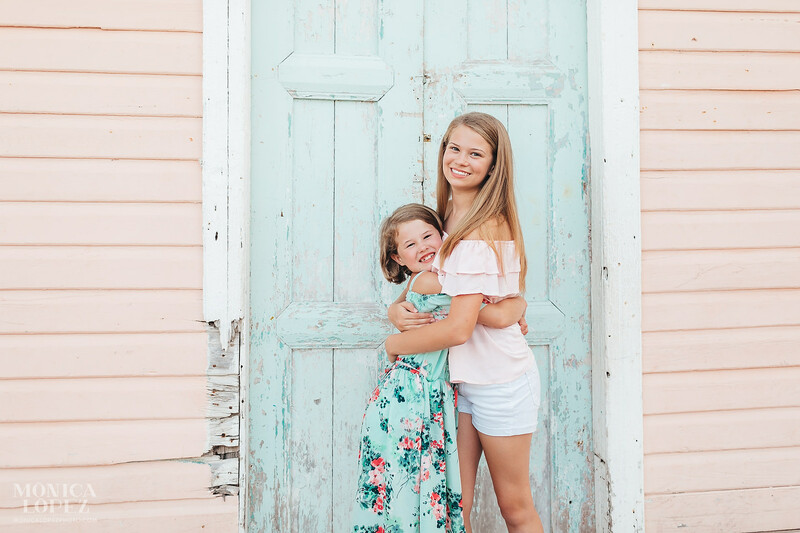 There is no shortage of colorful murals and backdrops at this island’s downtown to pick from, so Melody and Craig proudly pose with their girls (and solo, ‘cause romance!) 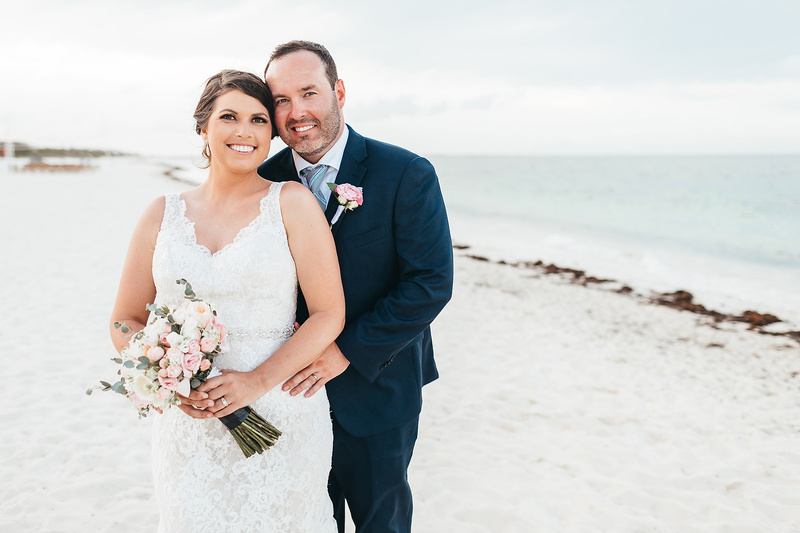 surrounded by monarch butterflies as well as in front of a dreamy pastel facade that complemented their outfits perfectly, giving us beachy and cotton candy vibes all at once. 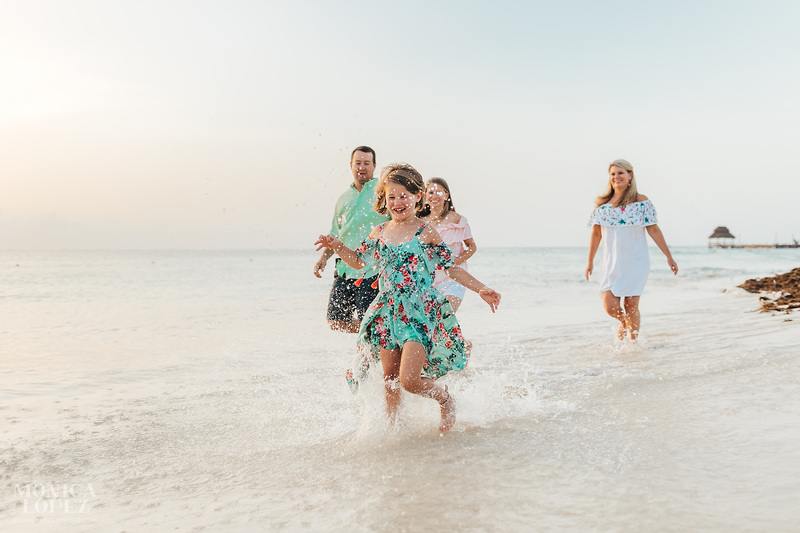 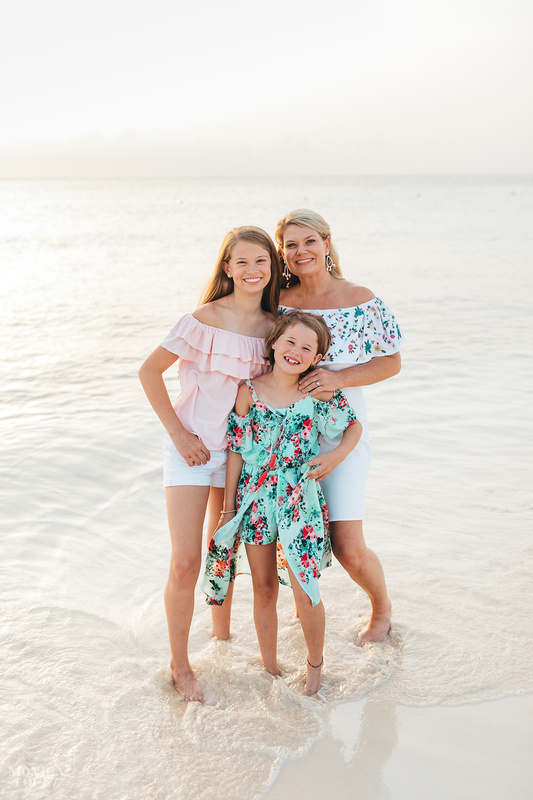 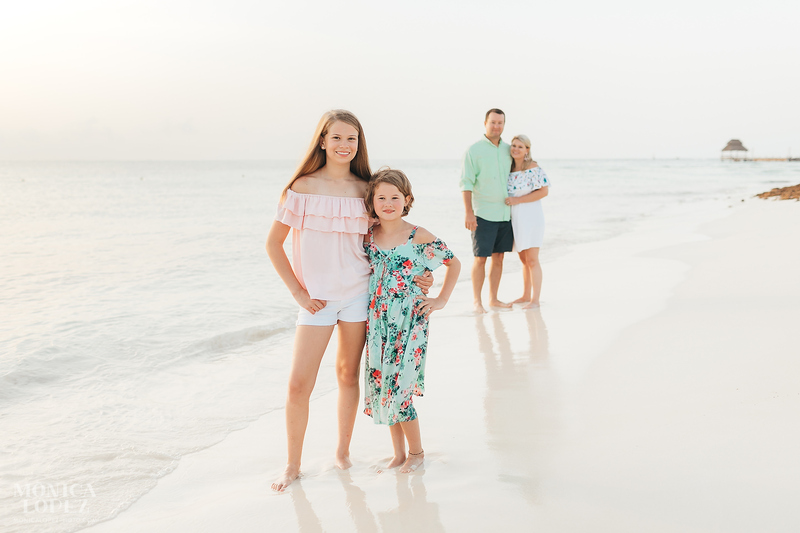 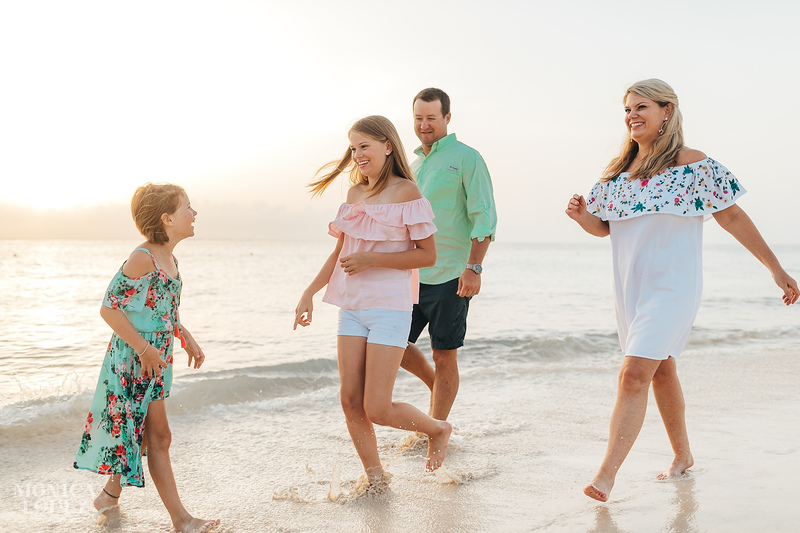 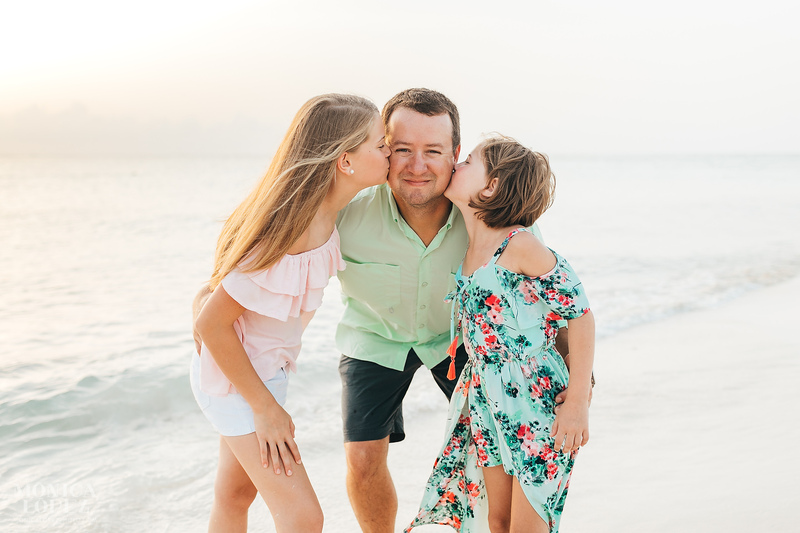 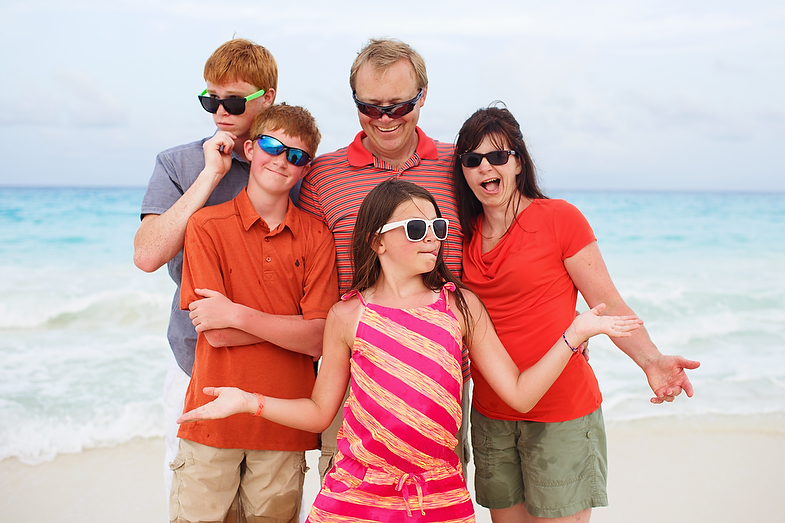 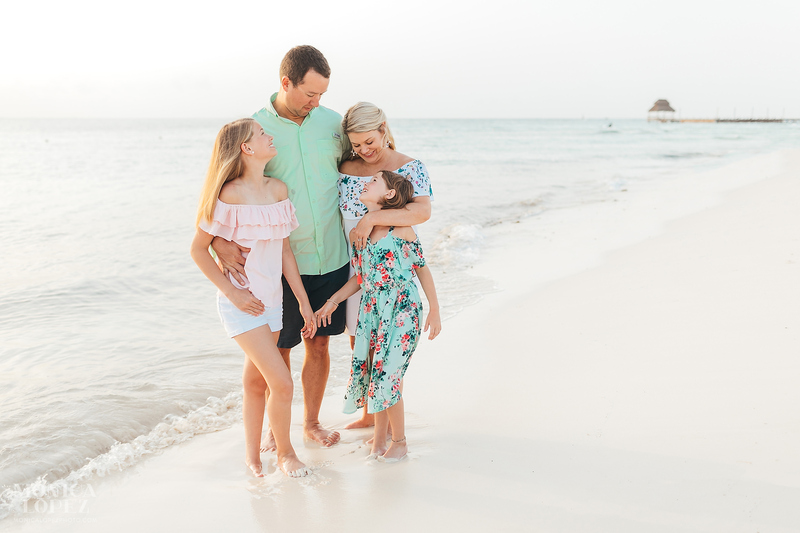 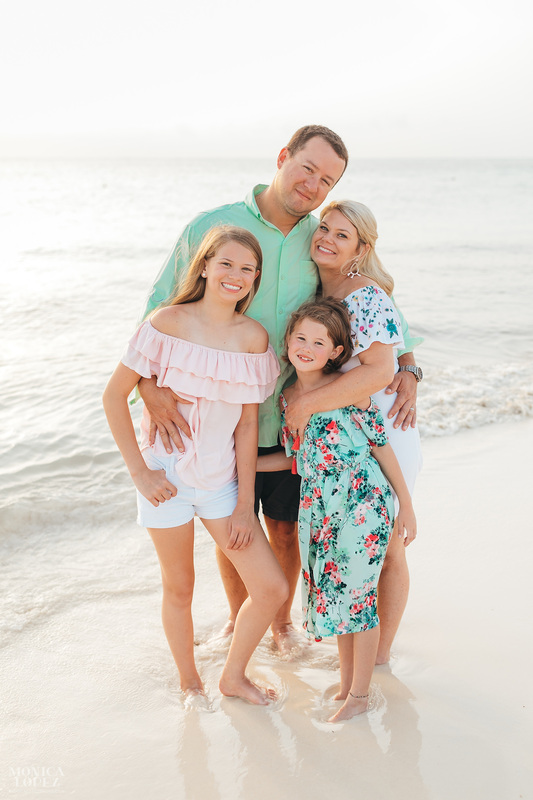 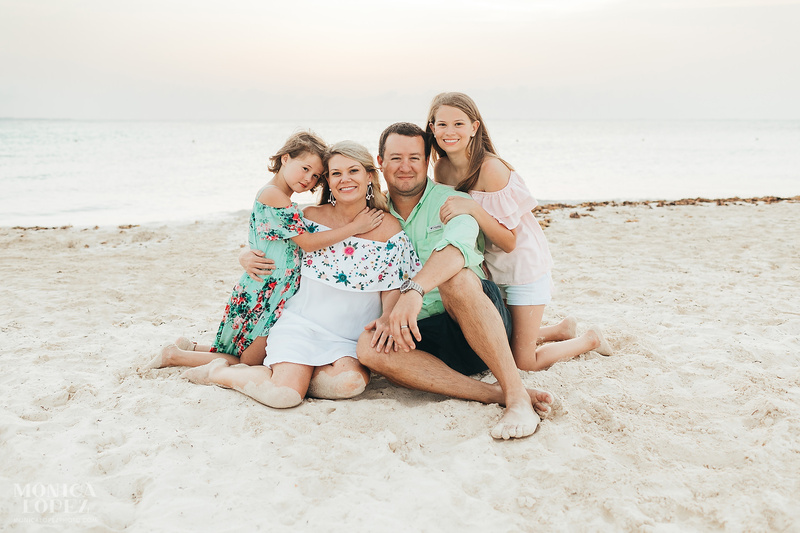 Isla Mujeres is officially a Pueblo Mágico or ‘Magic Town’, very fitting indeed for these family beach portraits – their chemistry as a family on and off camera is truly magical. 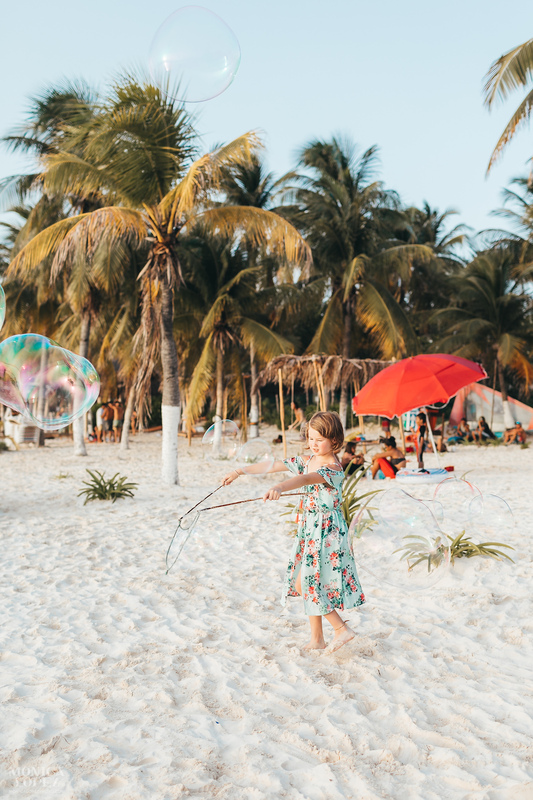 Juliana and Kadie Jan got to play and run around with colorful bubbles on the beautiful Playa Norte, the best location on Isla Mujeres for photos; it was an unplanned treat that turned into a gorgeous picture opportunity, their smiles and laughter would make anyone join in the soapy fun! 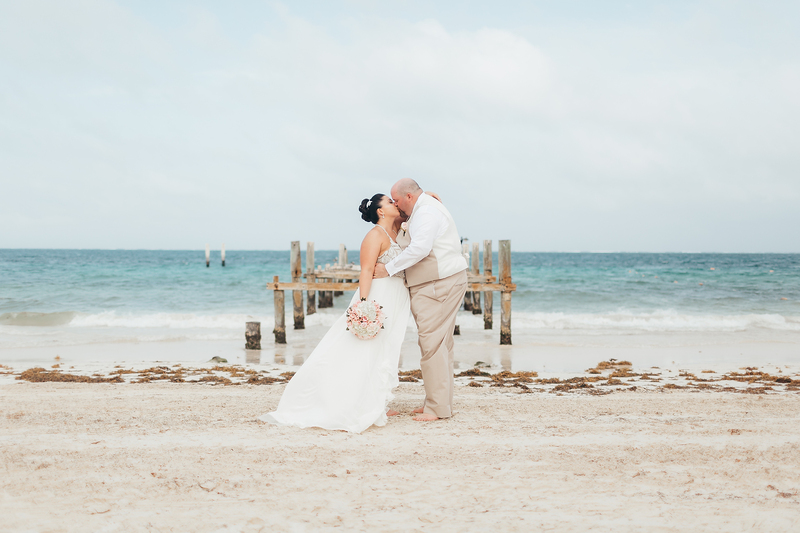 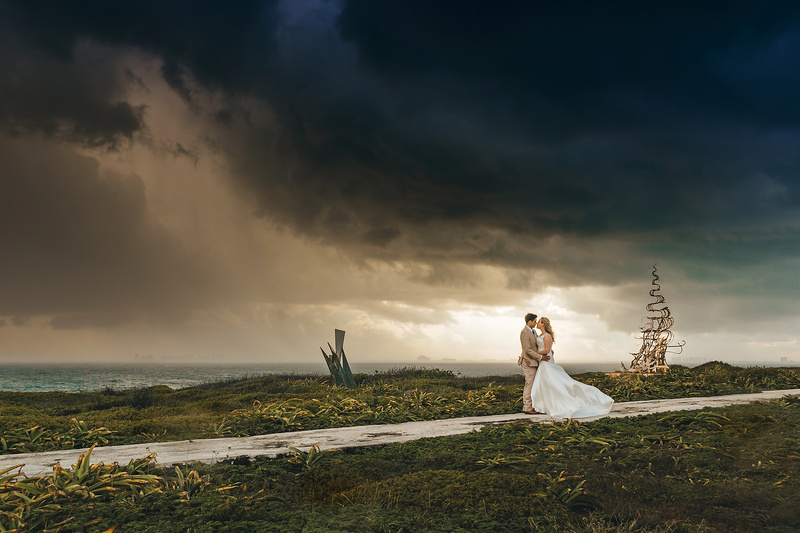 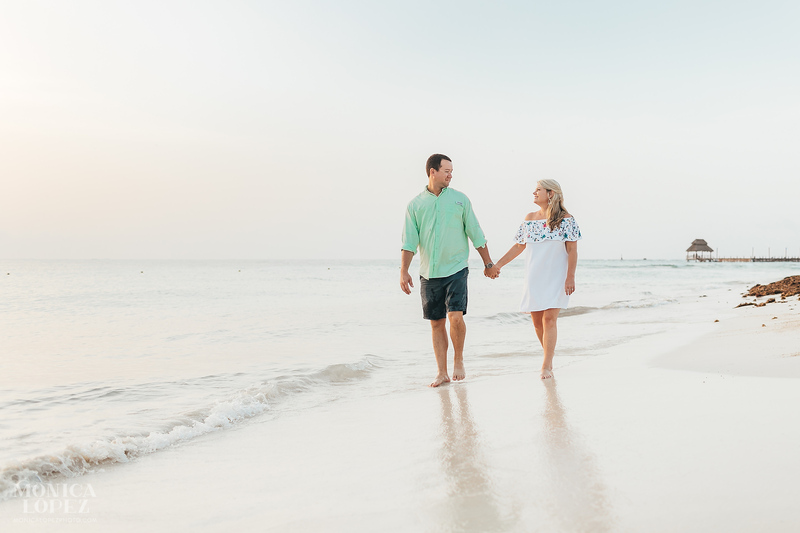 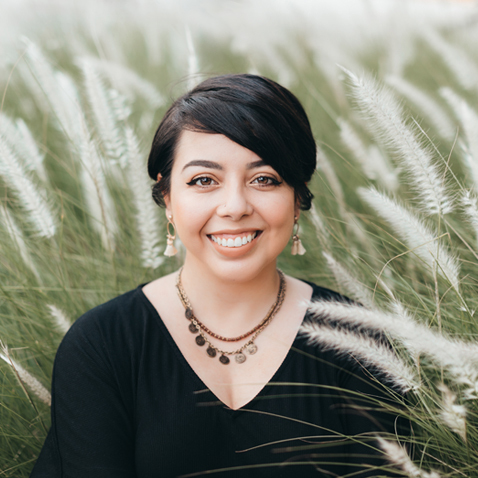 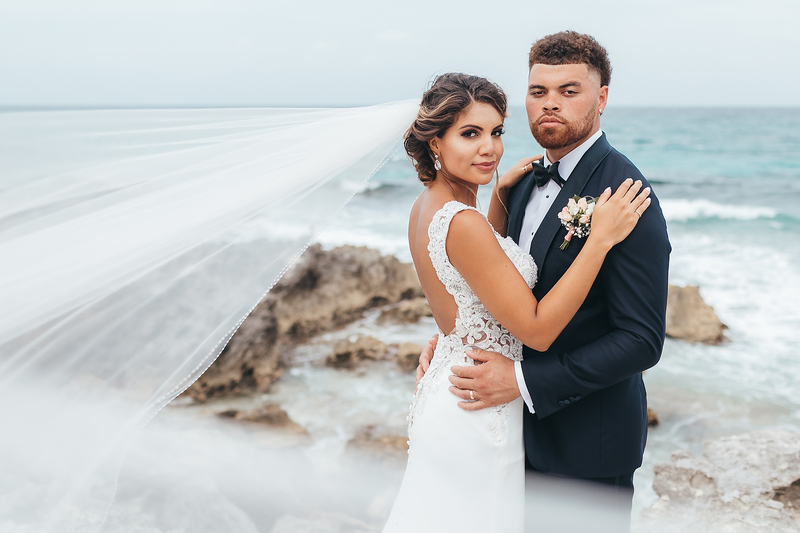 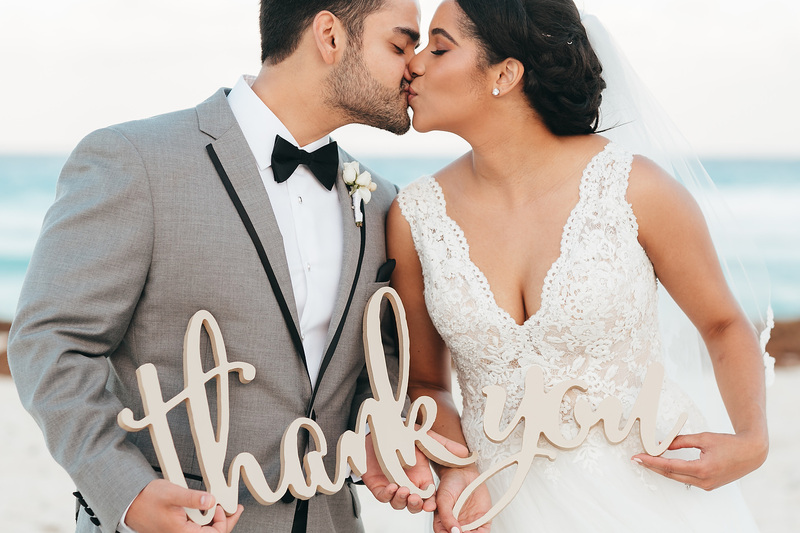 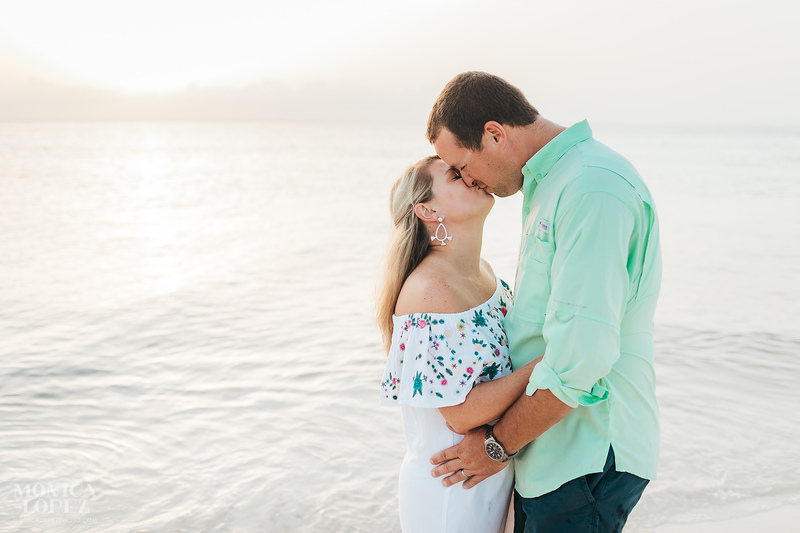 No tropical island shoot would be complete without a barefoot stroll down the island’s sandy beach, hand in hand with the people you love the most, splashing in turquoise waters and its foamy shore while soaking in the day’s last minutes of daylight. 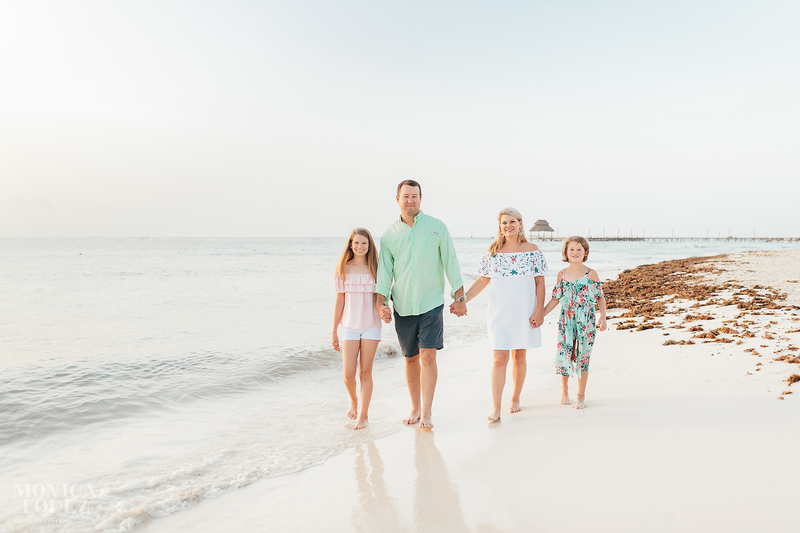 While the sunset wraped up our island adventure, a display of smiles, sisterly bonding, laughter and love to and from each Steib family member made this an unforgettable experience from their Mexico vacation and a real joy to capture for posterity.